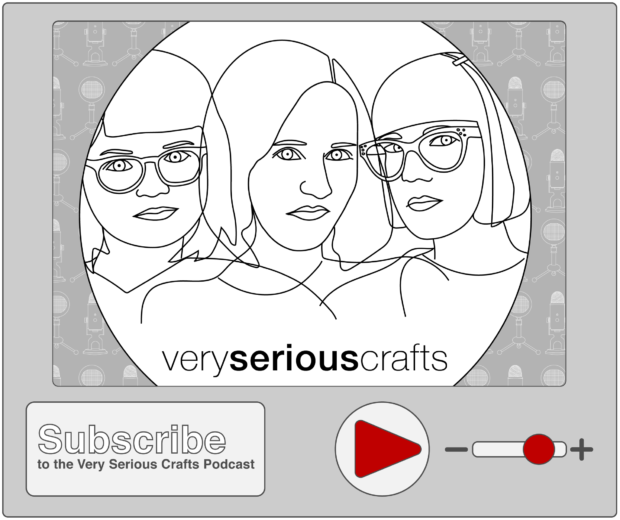 Subscribe to The Very Serious Crafts Podcast Today! Head on over to the fancy Listen and Subscribe page on the Very Serious Crafts website to subscribe to the podcast via the app or podcast purveyor of your choice. We also have an option for subscribing directly via RSS feed, so our podcast should play quite nicely with most platforms!